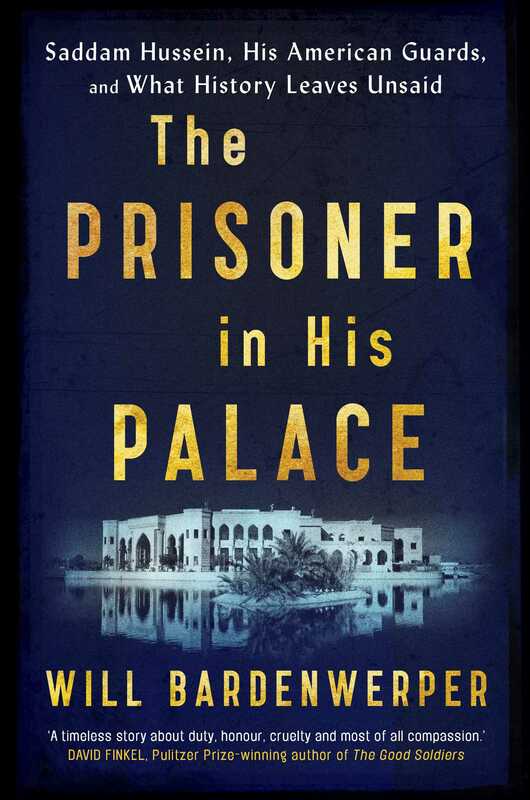 The Prisoner in His Palace is an evocative and thought-provoking account of how the lives of twelve young American soldiers deployed to Iraq are upended when they’re asked to guard the most ‘high-value detainee’ of all, the notorious dictator Saddam Hussein. What the self-dubbed ‘Super Twelve’ experience in the autumn of 2006 is cognitive dissonance at its most extreme. Expecting to engage with the enemy ‘outside the wire’, they’re suddenly tasked with guarding and protecting a notorious dictator until he can be hanged. Watching over Saddam in a former palace the soldiers dub ‘The Rock’ and regularly transporting their prisoner to his raucous trial, they gradually begin to question some of their firmest beliefs. Rather than the snarling beast they expect, Saddam proves confoundingly complex – voluble, charming and given to surprising displays of affection. Perhaps most shockingly, in his Spartan stoicism and the courage he shows in facing death he eventually becomes a role model. Employing a timeline that switches between present and past, The Prisoner in His Palace contrasts the man entrusted to the Super Twelve’s care – a grandfatherly figure who proves ‘good company’ – with a younger version of Saddam who is unspeakably ruthless, views murder and torture as legitimate tools and constantly keeps those around him in a blind panic. The magic of this book is that Bardenwerper keeps us on edge even though we know how it will end. We immediately sense that the Super Twelve will be forever changed by their experience, and we wonder if we ourselves will. In this artfully constructed narrative, Saddam, the ‘man without a conscience’, manages to get everyone around him to examine theirs. Will Bardenwerper has contributed to The New York Times and The Washington Post. He served as an Airborne Ranger-qualified infantry officer in Iraq and was awarded a Combat Infantryman’s Badge and Bronze Star. In 2010, he joined the Pentagon as a Presidential Management Fellow, where he spent the next four years. He has an MA in international public policy from The Johns Hopkins University School of Advanced International Studies and a BA in English from Princeton. The Prisoner in His Palace is his first book. “Offers shocking insights into the banality of evil….an Alice-In-Wonderland tumble through Iraqi dictator Saddam Hussein’s dark psyche. Will Bardenwerper vividly exhumes some of the tyrant’s twisted brutalities—all true—and yet reveals the gritty humanity of Saddam through the eyes of the young American soldiers assigned to guard him in the last months before he is hanged. A disturbing and entirely captivating piece of literary journalism. “In war, the enemy is always the ‘the other.’ What makes The Prisoner in His Palace so captivating is how Bardenwerper brilliantly juxtaposes the brutal acts that Saddam Hussein perpetrated against his own people, with the dignified, and even tender, manner in which the Iraqi dictator interacted with his American guards. What the book reveals is that our common humanity turns ‘the enemy’ into someone quite unexpected."